The University of Montevallo is partnering with the City of Montevallo to offer Wi-Fi access to downtown Montevallo in May 2018. The Wi-Fi system is intended for UM students, Montevallo residents and visitors for personal use while enjoying the downtown area. 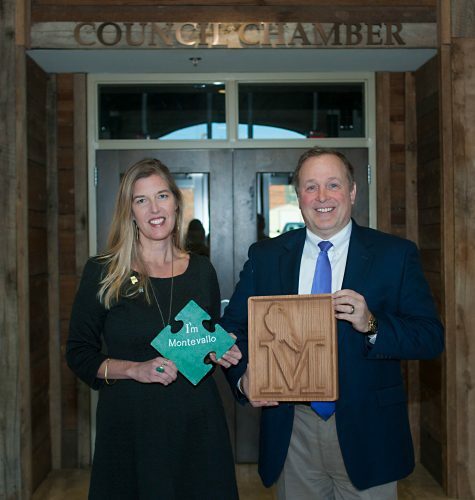 The University of Montevallo, City of Montevallo and Shelby County formed a strong partnership in 2012 with the formation of the Montevallo Development Cooperative District. “Now, with any project the City has, we look to our partners to identify how we can strengthen the project. In this case, we knew with the streetscape project, we should consider all infrastructure. The technology infrastructure was critical. Council member Jason Peterson was a strong advocate for putting in the infrastructure to facilitate downtown Wi-Fi,” said Mayor of Montevallo, Hollie C. Cost. In the midst of this, the University was working on improving campus Wi-Fi and expanding to Main Street for students. This presented the ideal opportunity for a university/city collaboration to serve the students heading downtown along with city residents. “It’s a bit of serendipity. It’s a happy collision with technology the University is setting up. Essentially, this technology allows the University to separate the network that the we are broadcasting to other constituents,” explained Univeristy of Montevallo Chief Information Officer, Craig Gray. This spring, outdoor access points will be placed on one pole per block along Main Street to create Wi-Fi coverage from Jack’s Family Restaurant to City Hall. As part of this collaboration, the City of Montevallo paid for the conduit and box installation, while the University is handling the networking hardwire and Wi-Fi access points. UM will also supply the internet service and tech support. The University is committed to ensuring data security. “We will use WPA2 for everything. So, we will be using the latest encryption methodologies for security,” said Gray. When connecting, individuals will be prompted to create a temporary login (using a phone number or email address) to access the Wi-Fi. The access points will provide the fastest currently available download speeds. “Ideally, this will get the citizens out more. It could also help students academically who do not have Wi-Fi at home. It’s another catalyst for people to come downtown,” said Cost. The University believes this project will be mutually beneficial to university students and city residents alike. “The University is excited to support downtown life. We want students on Main Street and we want people to see this as a vibrant living community. The University bears the namesake of the town it’s in. It makes a lot of sense for us to partner,” said Gray.